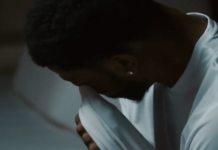 Yesterday was Chicago Bulls media day and Chicago fans have a lot to be excited about. This young group spoke with poise, composure, and confidence when asked about the upcoming season. This team knows that they have a lot to work on, but they are ready to work on it together. The closeness of this team shined through Media Day. Let’s start with Wendell Carter Jr. 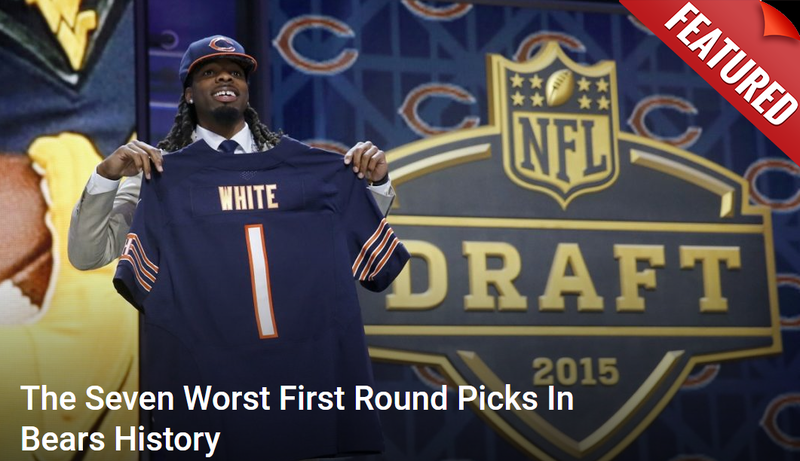 The Bulls first round draft pick, selected at the 7th spot. Now, Wendell Carter Jr. may not start the season right away since Robin Lopez is on the roster, but that hasn’t stopped Wendell from practicing with RoLo and learning everything he can from him. In the interview above Wendell noted he needs to work on hitting open shots, because “that’s what NBA players have to do”. Carter was able to stretch the floor at Duke and hit mid-range jump shots and even hit from beyond the arc. Even if Wendell doesn’t start the season as a starter, look for him to get a lot of minutes in this offense. 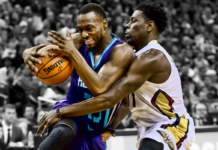 He is the perfect big man to play in Hoiball considering he can run the floor and space the floor. The best part of his podium interview and the other interview he had with Chuck Swirsky was the humble attitude he shows. Wendell said he will come in and do what he as to do to help the team win, and that he has faith in the coaching staff. Dunn is arguably the best defender on the team and during his Media Day, he took pride in that. 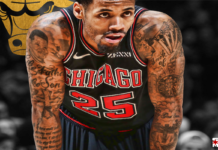 Dunn knows that playing the point guard position is a tough task but it seems he is up for it and looking forward to it as well. Dunn referred to himself as the quarterback on the offense. It’s his responsibility to have players in the right spot and to be a vocal leader on the court. Another thing Dunn touched on was the reports that came to this offseason that Bulls brass wasn’t impressed with his offseason work routine. Kris quickly shot that down in the podium interview. 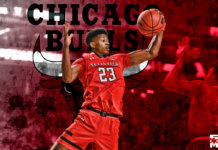 One thing for sure is that Bulls fans witnessed a motivated Kris Dunn yesterday. Kris should be fun to watch this year. Zach Lavine will be next on the list. Zach signed a 4-year $78 million dollar contract this offseason. 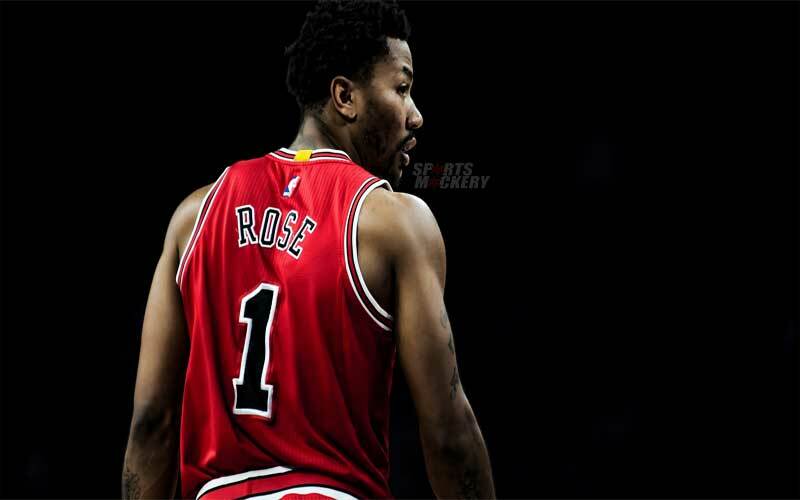 Zach is ready to come in and put in work and help bring the Bulls back to the playoffs. Zach said he spent much of the offseason putting in a lot of work and trying to improve his game. Zach also met with the Point Guard, Kris Dunn, this offseason and this Bulls team came together two weeks before training camp started. Zach is looking to come in this season and one of the go-to guys. Zach did note that this team has a bunch of leaders and that he wants to follow the mold of the Golden State Warriors. Zach said everyone in the starting five for Golden State is a leader and he sees that potential for this young Bulls team. Zach LaVine on his role: "Come in, be a leader of the team, lead by example. And be one of the go-to guys." Now, to the hometown kid, Jabari Parker. Parker is coming off a torn ACL for the second time in his career and he looking to rejuvenate his career back at home in Chicago. Jabari was calm, cool, and collected in his podium interview and seemed very excited for the season to start. Parker has been putting in the work since July and said that he has built a good relationship with Head Coach, Fred Hoiberg. It seems as if Jabari is ready to go and be a part of this young team. Every player has been putting in the work and understands the potential of where this team can go. Last, but not least, Bulls starting Power Forward, Lauri Markkanen. Lauri played overseas for the Finnish team this offseason and says he put on some weight to be more effective in the post. Lauri Markkanen said he's 240 pounds, up from 223 last season. Laur had a breakout rookie season and said he wants to keep getting better and help the team win games. Pretty plain and simple stuff here from the soft-spoken Finnish star. 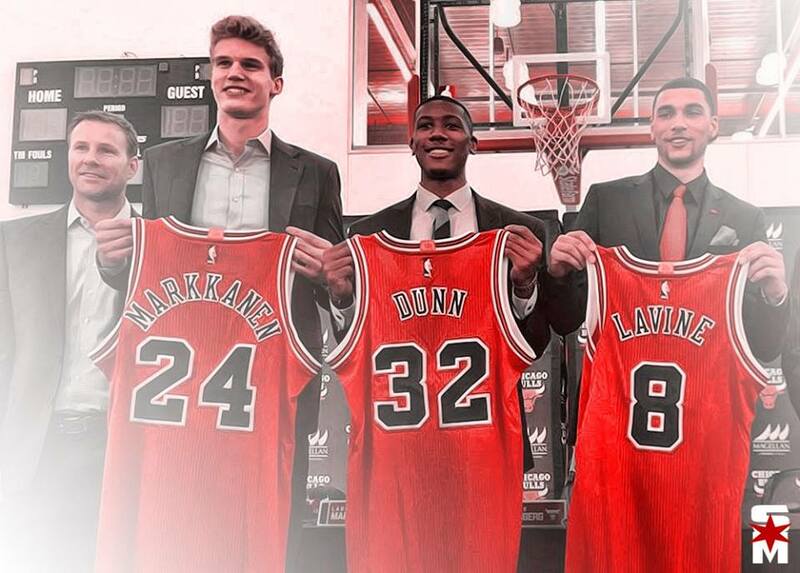 Overall, the Bulls media day seemed to excite a lot of fans. This team has a young core who seem determined to “Run Together” and take the league by storm. 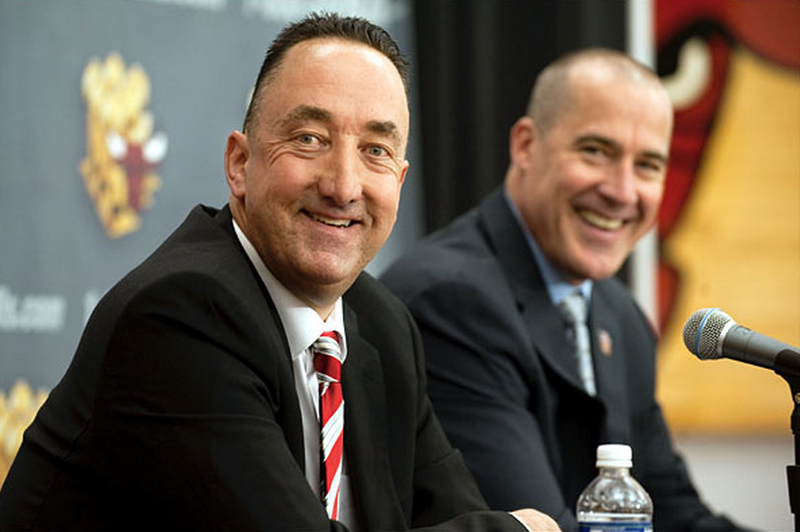 Also, hats off to GarPax for bringing in young exciting players. This is only year two of the rebuild and Bulls fans are talking about this team being in the playoffs. Paxson said last year that he wanted the Bulls to be “young and athletic”. That’s exactly what he went and did.